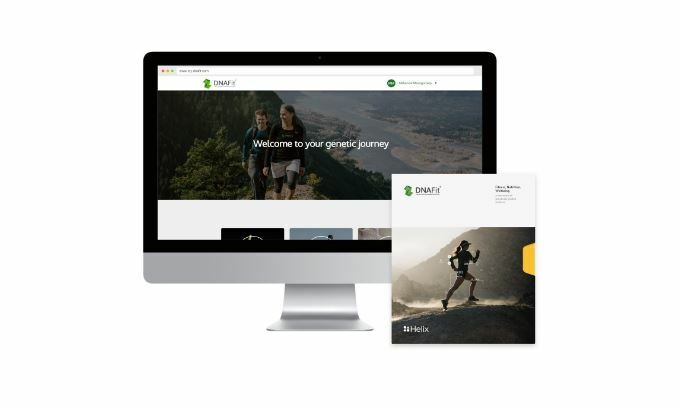 DNAFit was one of the earliest company to provide personalized DNA tests for fitness and diet plans. Today, they sell two kinds of tests: the Diet Pro for those who want to improve their diet and Diet Fitness Pro 360 for those who want DNA-based insights into both their diet and fitness. In this DNA Fit test review, we discuss the Diet Fitness Pro 360 test. It is one of the best DNA tests for those who want help optimizing their meal plan and fitness routine. 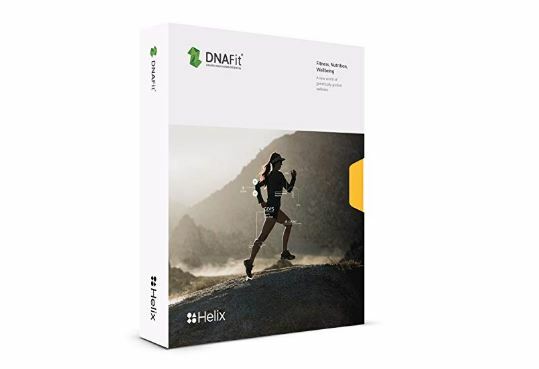 DNAFit collaborates with Helix to provide diet and fitness reports. Helix does the testing while DNAFit does the reporting. Helix is best described as an ‘app store for DNA services’. They test DNA samples using a process called exome sequencing. It’s a very comprehensive and accurate test compared to the more common genotyping process used by most companies. 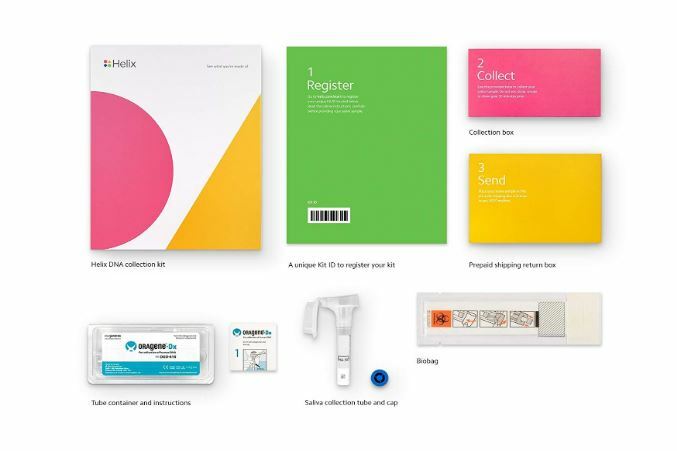 They then share the necessary parts of your raw data with DNAFit or whichever other services you buy. DNAFit takes the part of the data they need to analyze your genetic variants, which helps them determine how your body responds to different types of food and workouts. For instance, you may have genetic variants that make your body better at power-based workouts rather than endurance exercises. In terms of diet, your DNA might make your body respond better to fats than carbohydrates. Now, it’s important to note that none of this is 100% proven by research. Some studies suggest DNA is linked to weight loss/gain and fitness. But we are still a long way from discovering how exactly our DNA influences our choice of diet, favorite sports, and workouts. DNAFit’s tests are undoubtedly helpful and you should take them if you want to improve your diet and fitness. But I recommend talking to your doctor, physical therapist or nutritionist before making any serious changes to your diet and exercise routine. What I love most about DNAFit is how in-depth and comprehensive their report is. It’s not just a bunch of generic recommendations. They actually customize the report to your particular DNA profile. I think one of the reasons their reporting is so comprehensive is the exome sequencing process Helix uses. It extracts more data from your DNA and allows DNAFit to make more personalized recommendations. Their fitness and diet recommendations are also very detailed. The report includes actual training plans, meal plans, and even shopping lists. You get everything you need to improve your diet and fitness. Once you order, you’ll receive a sampling kit from Helix. You are required to spit into the provided tube and send the sample to their lab. Results take a while before they are ready – 4 to 6 weeks. Log in to your DNAFit to see your personalized report. As I mentioned, the results are very detailed and comprehensive. But they are laid out clearly and the language is simple and easy to understand. Fitness insights: Includes workout recommendations based on your genetics, a power and endurance score, advice on how to prevent workout injuries you are genetically predisposed to and personalized DNA-based recovery advice. Workout plans and personal coaching: A personalized 12-week training program that is optimized to your DNA profile. In addition, you get the opportunity to speak to a fitness expert for some one-on-one coaching. Nutritional insights: Genetically customized advice on your body’s nutritional needs, your optimal diet type and any food intolerances and sensitivities you might have. Meal planner and personal coaching: A wide selection of recipes personalized to your preferences and DNA results. Also includes customized shopping lists to make meal planning easy. In addition, you get the opportunity to speak to a dietician about your diet and nutritional needs. The in-depth insights and recommendations. Unlike many other tests, DNAFitdoesn’t just tell you which workouts and foods are good for you, they give you an actual meal and fitness plan that you can start following immediately. Excellent customer support. If you have an issue with your test, they are ready to help. And if you have questions about your diet or fitness recommendations, they provide complimentary phone consultations with experts. Simple and clear report. The results couldn’t be any easier to read. It’s super easy to navigate between different sections and you can read the report on any device. The long turnaround time. Results take between 4 and 6 weeks. But it’s worth the detailed report you receive. One reason it takes so long is the sequencing process Helix uses. Unlike genotyping, exome sequencing takes much longer because they have to examine all the genes rather than just looking for a few known genes. From our DNA Fit test review, it’s clear DNAFit is one of the best DNA tests for fitness and diet planning. Their in-depth report and recommendations are based on a highly reliable sequencing process, which increases accuracy and ensures the insights are truly personalized. The test may not give you all the fitness or weight loss answers you are looking for but it’s a great start to a healthier lifestyle.